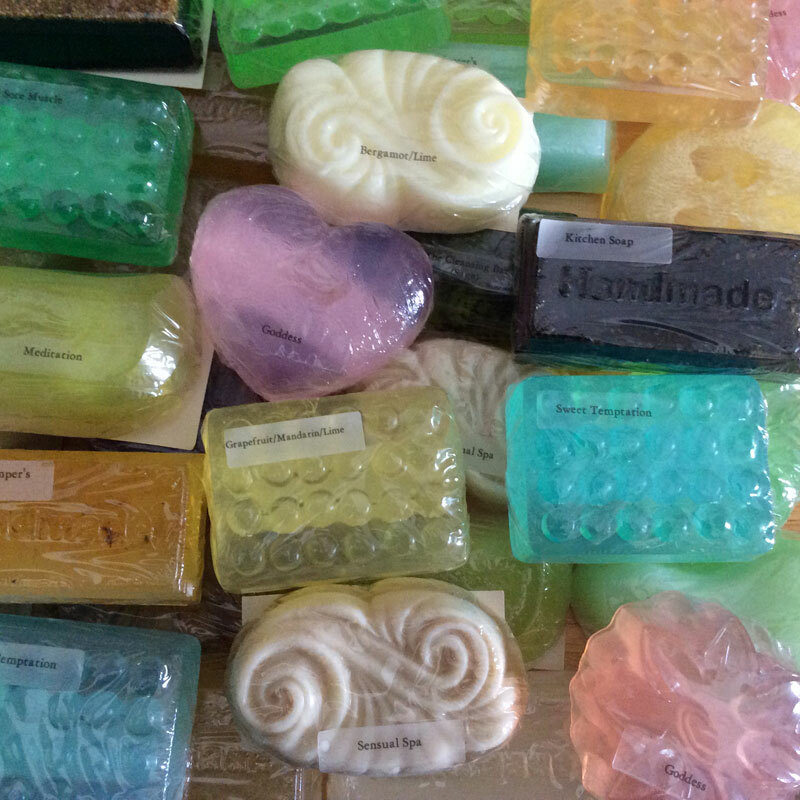 Located in the heart of Enniskillen, Crystal Mowbray, a certified Herbologist, owner of Timeless Essentials, creates handmade all natural soaps plus a full line of bath and body products. This artistic earth bound soul designs beautiful glycerin based soaps using a high glycerin soap base that she imports from England. She then adds natural colouring and essential oils from all over the world to this moisturizing soap base. Yes, the French lavender essential oil is from France, Lime essential oil from Italy. The best the world has to offer. Her bath and body line includes bath salts, soothing bath soaks, lip balm, body butters, healing moisturizers, old fashioned salves, bug and tick spray, essential oils plus a line of handmade herbal heat up, cool down bags. Crystal an accomplished jam maker with over 30 years’ experience, also creates a full line of homemade jams, jellies, marmalades, preserves and gourmet mixes. Be sure to check out her line of over 60 flavours of jams, jellies and marmalades, tempting yummy flavours including 4 fruit marmalade, Apple Ginger marmalade, butter tart jam, bumble berry jam, hot red pepper jelly… Crystal’s full line of gourmet mixes includes dip mixes, barbecue meat rubs, soup and cookie mixes.